Pure Heat 2 Hour Chafing Dish Fuel is designed specifically for coffee warmers and room service applications. 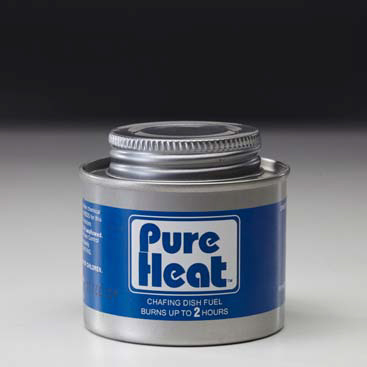 Pure Heat 2 Hour Wick Chafing Dish Fuel's wick ignites quickly and burns consistently. The end result is high-quality heat that burns hotter than comparable gel fuels, burns safe, and lasts approximately 2 hours. These chafer warming cartridges are efficient and economical. 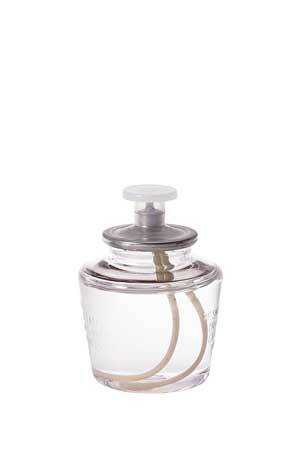 For convenient storage when not in use, this can features a leak resistant screw cap.